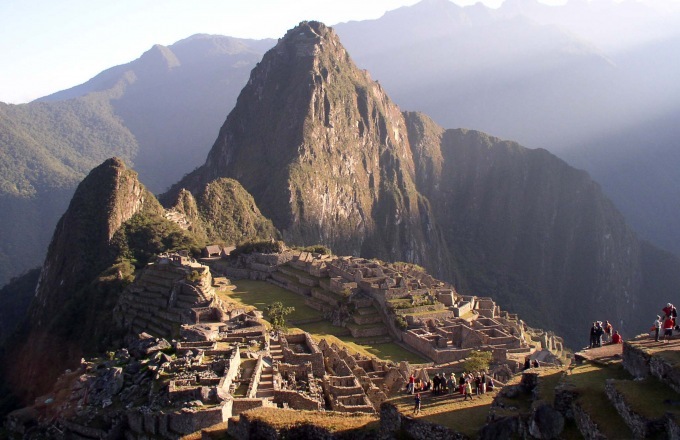 Machu Picchu is perhaps the most breathtaking archaeological site in the world. Yet Peru also offers a wealth of other magnificent ancient, colonial and scenic sights. Staying in good hotels with great character and with some free time to relax, this tour reveals Peru's many wonders, including Cuzco and Arequipa, the Colca Canyon, Lake Titicaca and, of course, Machu Picchu. You will be met and taken to your hotel in Lima. You will be able to check-in to your hotel room immediately. Today is at your leisure to explore Lima independently or take an optional tour such as a guided visit to the Larco Museum, which can be arranged locally. This tour begins with an early morning visit to Surquillo local market in Miraflores. Here, you can see many types of fresh fish, as well as a variety of produce from the coast, the highlands and the jungle. You can try different fresh fruit from the coast, highlands and rainforest. Continue to Lima's colonial center, a Unesco world heritage site. Between its foundation in the 1500s up to the 1900s, Lima was the chief city of Spanish South America and known as the 'City of Kings'. You will visit the magnificent 17th-century San Francisco Monastery with its cloisters and catacombs, an architectural masterpiece. A short stroll leads to heart of the old city and the Plaza Mayor main square, surrounded by yellow edifices, the Government Palace and the imposing and grand cathedral. You will also visit Casa Solariega de Aliaga, a superbly preserved colonial mansion that has been occupied by 16 generations of the same family since 1535. Don Jeronimo De Aliaga was one of the 13 commanders to arrive with Pizarro and was given land around the main square to build his house when Lima was founded. The mansion is decorated with ornate antiques and fine furnishings and it is easy to get a feel of the history of the family. End your tour with a visit to one of the oldest traditional taverns in the city, Cordano's, where you can taste Peru's famous pisco sour. Following your excursion you will be transferred to the airport in Lima for your flight to Arequipa. Upon arrival in Arequipa, you will be met and taken to your hotel. The tour begins in the elegant Plaza de Armas, beautifully laid-out with gardens, palm trees and a fountain, and continues to the 17th century La Compania church. The church is renowned for its florid Andean-style facade and its gilded main altar, typical of the height of the Peruvian baroque. Also of interest is the sacristy's ceiling, which is covered with miniature paintings and carvings of crimson and gold. You will then visit the 16th century Santa Catalina convent, which was opened to the public in 1970 after 400 years as a cloister. A walled city within the city, the convent is made up of a maze of cobblestone streets with spacious patios, gardens, kitchens and slave quarters. Entrance requirements at the convent were among the strictest in Peru. Novices, daughters of aristocrats, had to prove Spanish origin and come up with a dowry of at least 1,000 gold pesos. Once home to up to 500 nuns, about 20 nuns still reside in one section of the convent, while the remainder has been left as a magnificent museum. The morning concludes with a visit to the Juanita mummy museum. Juanita (also known as the 'Ice Maiden') was discovered on the top of Mount Ampato, near Arequipa, in 1995 by Johan Reinhard. She was 12 to 14 years old when she was sacrificed and is believed to have died about 500 years ago. She has been preserved in a glass box at subzero temperatures along with displays of amazingly well preserved clothes, jewelry and weavings that provide a vivid insight into the past. Other equally interesting and well-preserved locally found mummies are kept in the museum and are periodically exhibited. Please note that Juanita is not guaranteed to be exhibited as she is often taken away for research or for preservation. However, other mummies and all the artifacts remain, so the museum is well worth a visit at any time. The journey to the Colca Canyon takes approximately 4 hours, passing the spectacular El Misti volcano. Continue across the altiplano, stopping along the way at different areas of interest, including villages and churches. There will be a stop at a local restaurant for 'mate de coca' and lavatory facilities. Early this morning (approximately 6am), drive to Condors' Cross, the observation point from which condors may be spotted and where the magnificent natural spectacle of the Colca Canyon is spread out before you. Afterwards visit the town Maca, famed for its pre Colombian textiles. Drive from Colca to Puno, a journey of approximately 6 hours, including stops. Full-day tour to the reed islands of Lake Titicaca and Taquile Island. Lake Titicaca has many floating islands which are inhabited by the indigenous Uros people. For hundreds of years the livelihood of this 'water tribe' has been based on the benefits of the totora reed, which grows densely in the shallower areas of the lake. They use these to build their homes, boats and even the floating islands they live on, compressing them into virtually rigid surfaces, which drift around on the lake currents. The Uros people live by fishing and raising domestic fowl and they travel between their islands in tiny reed boats. The tour continues to Taquile Island, situated about 28 miles from Puno, with expansive views of the great lake, and inhabited by Quechua-speaking communities. Taquile is just 0.6 miles wide and around 4 miles long, but home to Inca and pre-Inca ruins and Inca terracing. Through the generations, the islands' inhabitants have developed an efficient social system and a fine hand weaving technique. Farmers, fishermen and weavers wear distinctive outfits. Visit the quieter southern side of the island, from where there are views across to Bolivia on a fine day. The locals will demonstrate their traditional way of life and ancient weaving techniques. You will be collected at your hotel and taken to the station in Puno. Today you travel from Puno to Cuzco on the Andean Explorer train, a journey of approximately 10 hours. This scenic journey follows in the footsteps of the Incas, from the shores of Lake Titicaca to the ancient city of Cuzco. The first half of the journey passes through the gentle rolling Andean Plains, where vicunas and alpacas may be seen. The journey then climbs up to over 13,780 feet above sea level at La Raya, the highest point on the route where a stop is made. Here, you can see the snow-capped peaks rising to 17,717 feet. The last part of the journey is dominated by magnificent Andean mountains, towering over the deep valleys of the meandering Huatanay river. A three-course lunch is followed by coffee served in the observation car. Upon arrival in Cuzco, you will be met and taken to your hotel. Morning Cuzco city tour, including the district of San Blas. Begin your tour with a visit to Loreto Alley, an impressive part of the old town with its remarkable Inca walls. Continue to the Santo Domingo Monastery which was built in the 17th century on the foundations of the Qoricancha Temple of the Sun, using original materials. Excavation is unearthing more of the five chambers of the temple, revealing some of the best Inca stonework to be seen in Cuzco. After this, you will visit San Blas with its beautiful colonial church, which houses an impressive pulpit. Stroll through the many handicraft shops and native art galleries in the small square where many local crafts can be found, such as earthenware, paintings, ceramics, sculptures, wood carvings and textiles. Roam the old quarter which dates back to the 16th and 17th centuries. Return to Cuzco's old town, passing through Hatunrumiyoc Street with its famous 12-angle stone. The heart of Cuzco, as in Inca days, is the Plaza de Armas. On the northern side of this, a visit will be made to the magnificent cathedral, built in the early 17th century on the site of the Inca Palace of Viracocha. The high altar is made of solid silver and the altar retablo behind it is a masterpiece of native woodcarving. In the sacristy are paintings of all the bishops of Cuzco and a painting of Christ attributed to Van Dyck. Much venerated is the crucifix of El Senor de las Temblores, the object of many pilgrimages and viewed all over Peru as a guardian against earthquakes. Drive to the Sacred Valley, and enjoy a weaving demonstration, the Urubamba market and Ollantaytambo Fortress. The picturesque Andean village of Chinchero lies to the north-west of Cuzco and the drive offers magnificent views across the Sacred Valley of the Incas. Situated at 12,139 feet above sea level, Chinchero has a well-preserved Inca wall in the main square and a colonial country church that has interesting frescoes on the portico. Today, you will visit a local textile centre, where traditional weaving techniques have remained virtually unchanged for centuries. The center arranges private demonstrations during which you can watch weavers from local villages display their skills. You will have the opportunity to watch as wool is carded, spun and dyed. Finally, you can learn about the different techniques used to create ponchos, fajas (belts), and mantas (shawls). You can also find textiles of the highest quality for sale. Make a short visit to the Urubamba market (Wednesdays), where locals trade corn and potatoes. The tour continues to Ollantaytambo, a small town built around a superbly preserved Inca fortress. The fortress guarded the entrance to this part of the valley and protected it from possible invasion from the lower jungles. The central part of the ruins is the Intihuatana group of temples and rock outcrops, which reveal the most magnificent Inca masonry. The design and foundations of the majority of the buildings in the town also date from the Inca era, when Ollantaytambo was a strategic military, religious and agricultural centre. After your visit, continue to your hotel, a journey of approximately 30 minutes. You will be collected from your hotel and transferred by road to Ollanta railway station, a journey of approximately 40 minutes. Peru Rail (Vistadome) train from Ollanta to Machu Picchu. Take a spectacular journey by narrow gauge railway through the Sacred Valley of the Incas to Machu Picchu. On arrival at the station in Aguas Calientes, you will transfer by shared bus to Machu Picchu. Afternoon tour of the Machu Picchu ruins. The Incas left legends of forgotten cities and treasures, the most incredible of which is Machu Picchu. It lay hidden from the world until its rediscovery by the American explorer Hiram Bingham in 1911. The site consists of more than 200 buildings of perfectly chiselled unmortared stone, as well as baths, temples, altars and houses constructed in terraces and connected by stairways carved from solid rock. Enjoy a guided tour of the ruins and have time to explore on your own. Morning at leisure. Excursions that can be booked locally include bird watching or a visit to the Aguas Calientes hot springs (payable locally). Journey by train from Machu Picchu to Cuzco. You will be collected at your hotel and taken to the airport in Cuzco for your flight back. The cost of personal items such as laundry drinks with meals or otherwise, additional incidentals, etc.